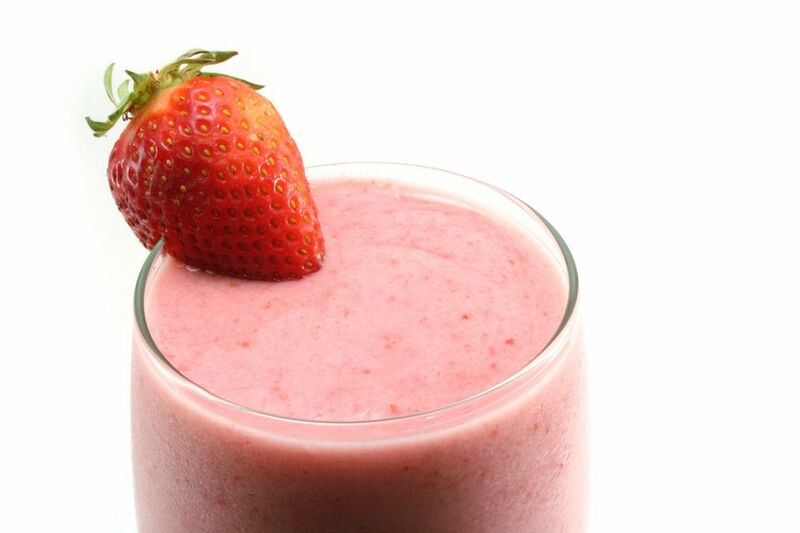 This chocolate strawberry smoothie recipe is refreshing and healthy. If you have a blender with an ice-crusher feature, you can make these smoothies in there. Otherwise, you may want to use a food processor, since the frozen strawberries can be tough to crush​ or consider investing in a Vita-Mix blender. Place frozen strawberries in the blender or food processor first. Add milk and juice. Top with remaining ingredients. Puree until smooth, stopping to push the ​fruit down into the blades of the blender, if necessary.